No 4th of July is complete without fireworks. Is June really drawing to a close and the Fourth of July holiday just around the corner? While it may be hard to believe when the clouds still dominate most of our days, the sun, and the fireworks, are not far away. Here are some of the 2017 Fourth of July fireworks shows and holiday events around Grays Harbor County, organized for you from A (Aberdeen) to W (Westport) and many letters in between. Before the fireworks show at 10:00 p.m., enjoy a fun-filled day of entertainment, food and more during the 4th of July Splash Festival. Photo courtesy: City of Aberdeen. Aberdeen’s annual waterfront Splash Festival happens on Tuesday, July 4. The day-long festival with inflatable games, rides, live music, food and craft vendors, and family entertainment begins at noon and runs until 5:00 p.m. at Morrison Waterfront Park. 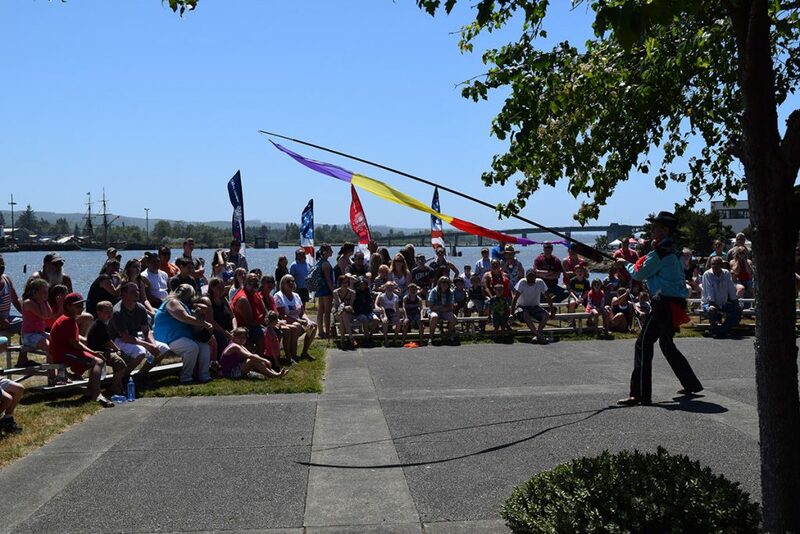 For the evening, the Splash Festival switches to Seaport Landing (the historic seaport on the opposite side of the Chehalis River) from 5:00 to 11:00 p.m. The fireworks display, which may be seen from either side of the river, begins at 10:00 p.m. The tall ships (Lady Washington and Hawaiian Chieftain) will be docked at the port for free (donations encouraged) onboard tours during the day and offering sailing excursions (for a fee) during the fireworks. Entertainment includes the Marlin James Band and the All in Band at the port as well as Son of Reptile Man, Trevor & Lorena, and Leapin’ Louie at the waterfront. Contact the City of Aberdeen Parks Department for more information at 360- 537-3229. Though not officially an Independence Day event, don’t forget the Aberdeen Founders Day Parade and Festival starting at 11:00 a.m. on Saturday, July 1. There’ll be vendors, games, music, the parade, art and more. Contact ARM at 360-589-3714 for more information. 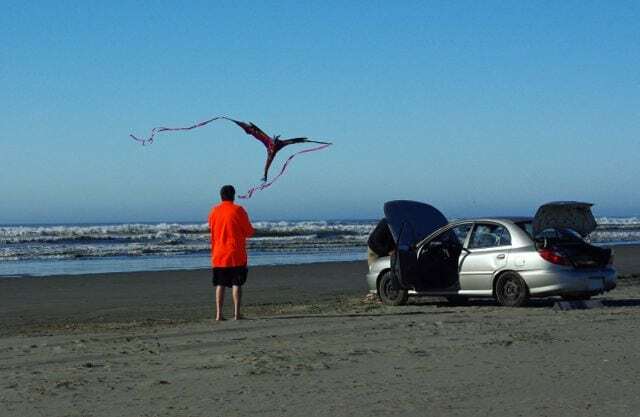 During the day, enjoy the beach at Ocean Shores. After dark, the skies light up with fireworks. 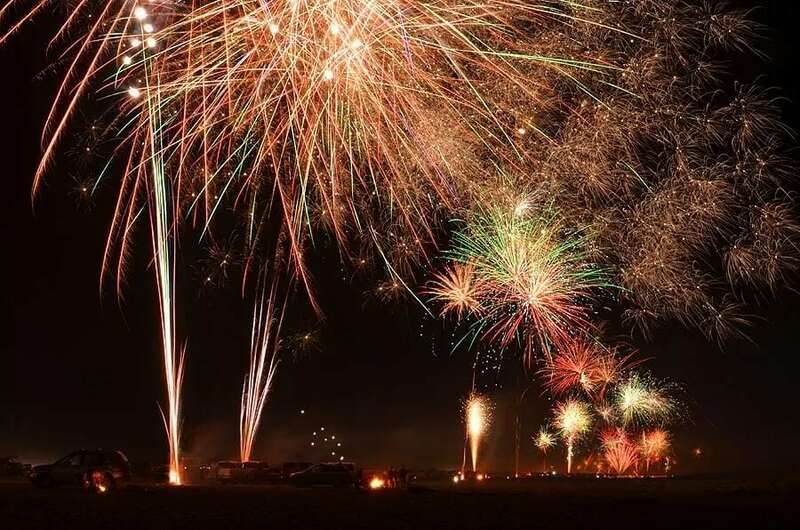 Many coastal residents and visitors enjoy setting off their own fireworks on the beach on the Fourth of July up and down the shore surrounding Ocean Shores. Just remember to follow the posted rules, staying clear of the dunes and be sure to clean up debris from your festivities when the big show is done. For a full listing of Ocean Shores rules and regulations, visit the Grays Harbor County Emergency Management information page. For those interested in letting someone else do the lighting of fireworks, head to the Quinault Beach Resort and Casino then enjoy the pyrotechnic display provided by the Resort starting at 10:00 p.m.
Seabrook’s annual Independence Day Celebration falls on the eve of the holiday this year. 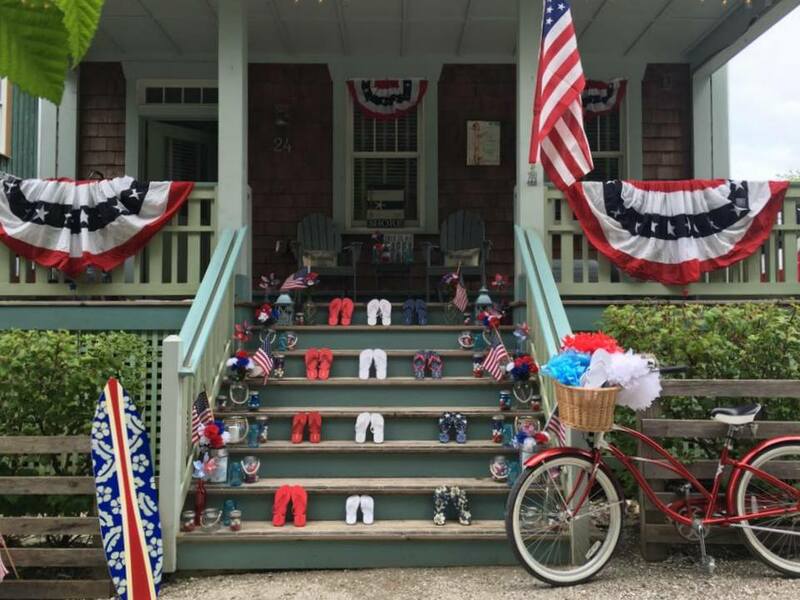 Their Porch Illumination Celebration is a sight to see and takes place from 6:00 p.m. to 9:00 p.m. on Monday, July 3. Guests and homeowners alike decorate their porches while residents, guests and visitors walk around to pick their favorites. Everyone has a chance to stop at Crescent Park to vote for their favorite home by 9:00 p.m. where the s’mores roasting begins! The people’s choice and judge’s choice winners will be announced at the Flag Presentation at 11:00 a.m. on July 4 at the Front Street Amphitheater flag pole. A bike parade and Farmers Market follow. 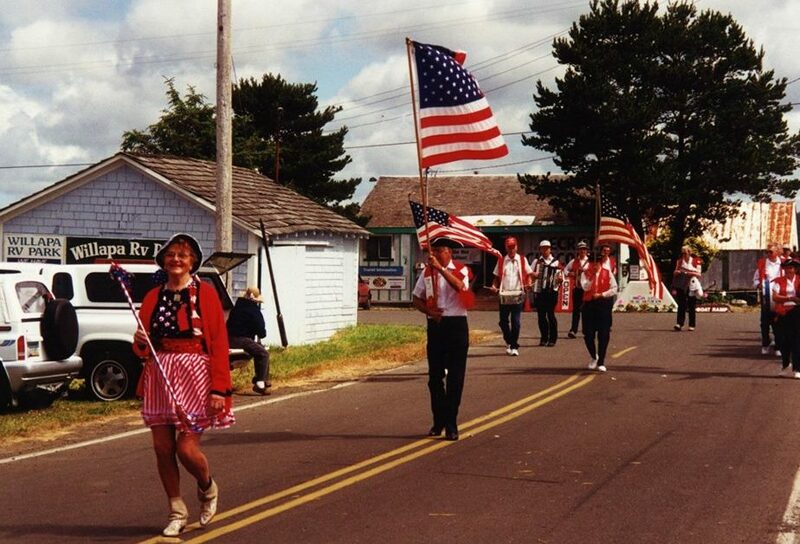 Join the Tokeland Fourth of July Parade at 11:00 a.m. on Saturday, July 1, then picnic on the grounds of the Historic Tokeland Hotel. It’s free to enter the parade (your imagination is the only thing required) and the picnic lunch and games for all ages on the grounds are free, also. Prizes will be awarded for best parade entry and winners of all of the different games. Many past participants have likened this event to an early 1900’s afternoon in the park surrounded by neighbors and friends. They say it’s a day you will not likely experience elsewhere or soon forget. 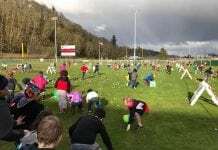 Visit the Tokeland Fourth of July page online for registration or call 360-267-7006 for more information. The family and dog friendly Tokeland Trek community hike takes place Sunday, July 2. This annual event varies between one and two mile adventures each year. Registration includes a sack lunch and T-shirt. For more information call 360-590-0222. The Booming Bay Fireworks Display won’t disappoint. Photo credit: Westport Mike. Step back in time this Independence Day with the Westport Maritime Museum’s Old Fashioned 4th. Kid’s activities, games, music, craft and food vendors will be on-site all day long. 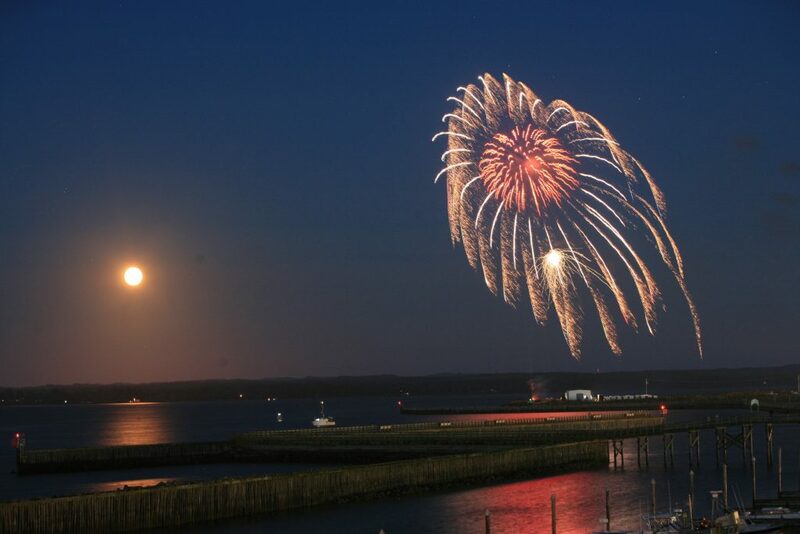 Stay for the evening and enjoy the Booming Bay Fireworks Display at dusk over the Westport Marina. Activities on the museum grounds take place from 10 a.m. until 4 p.m. 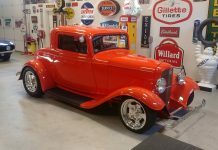 The old-fashioned family celebration, complete with children’s games for prizes, food, a plant and bake sale, vendors, a cakewalk, live music, a raffle and a silent auction make for a full day off fun. The U.S. Coast Guard and local military fraternities and sororities open the event with the posting of the colors and the National Anthem at 10:00 a.m.
A raffle drawing for great prizes, including a Westport Winery gift basket, will be held at 4:00 p.m. on the grounds of McCausland Hall. Tickets are $2 each and you need not be present to win (but be sure that your phone number is on your ticket). While on the grounds, be sure to tour the Maritime Museum (and get your Museum Passport stamped) where you can explore several rooms on two floors in the former Cape Cod-style Coast Guard Station that depict early life on the South Beach, including the early days of community living, fishing, lumbering and cranberry farming. The Destruction Island Lens Building also will be open, providing visitors an opportunity to examine a first order Fresnel lens up close and rotating. The museum and lens building will be open from 10:00 a.m. until 4:00 p.m. on July 4. Museum admission, which includes entry into the Destruction Island Lens Building, is $5 for adults and $3 for children under age 12. There is no charge for admission onto the grounds and access to the museum’s gift shop. The Maritime Museum is located at 2201 Westhaven Drive. You can’t miss it —just look for the giant 30 by 50 foot American flag flying proudly over the grounds. Call the museum at (360) 268-0078 or the Westport/Grayland Chamber (360) 268-9422 for more information. Whatever you decide to do this Fourth of July, be safe and have fun as our community celebrates our nation’s independence and the freedoms we all enjoy each day.